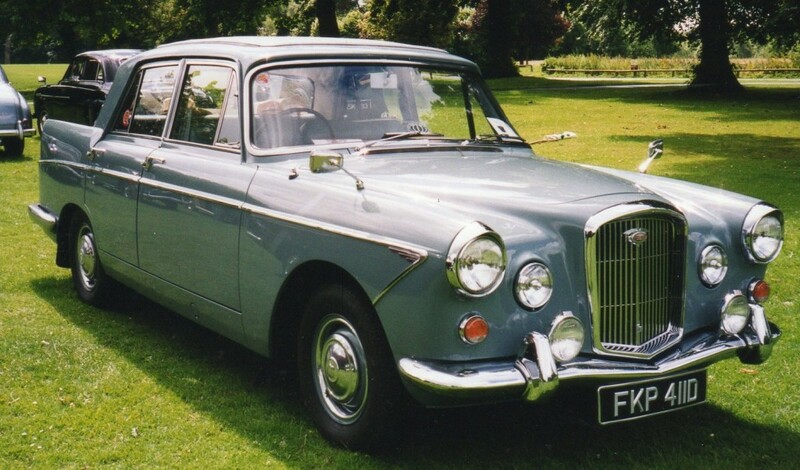 The introduction of the 6/99 in 1959 market was a break with tradition for the “big Wolseley” range. For over quarter of a century, Wolseley had been Morris derivatives, but, horror of horrors, this new car was in fact a badge-engineered AUSTIN, being a luxury version of the A99 Westminster. 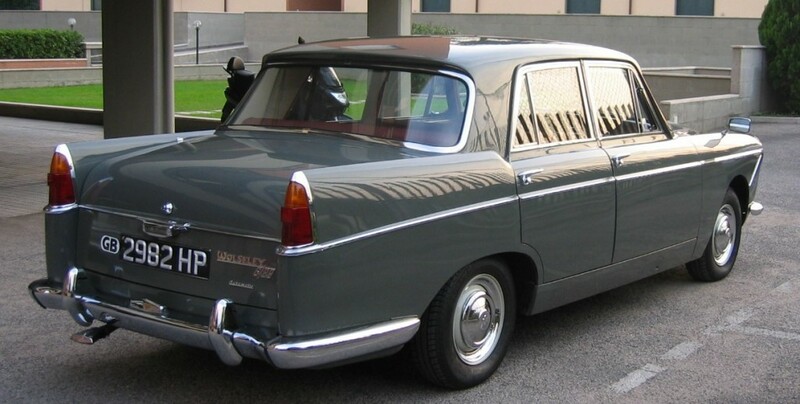 Another significant change meant that this was the first top Wolseley with a unit-construction monocoque body chassis with up to the minute crisp Farina styling. This provided a bright, airy, and spacious passenger cabin with more conservative “toned down” rear fins than its smaller brother, the 15/60. The car had the by now usual independent front suspension/live rear axle set up, with front and rear anti-roll bars, and Lockheed front disc brakes. Steering, however, was the slightly disappointing and vague cam-and-lever system. The drive train standard BMC ‘C’ series equipment, with 2.9 litre straight six engine with optional Borg-Warner automatic transmission, or the more usually specified all new Porsche type three-speed all synchromesh transmission. The latter was backed with overdrive on top/second, which was brought into operation (when above 30mph) by pulling a centrally mounted lever located under the front parcel shelf. The 6/99 was 10 per cent more expensive than its Austin counterpart, the differential being justified externally by the fitting of the distinctive Wolseley grille, auxiliary lamps and some natty two-tone colour schemes. Internally, the Wolseley had the usual wood/leather furnishing, extra gauges, deeply dished steering wheel and column shift. After a two-year production run, the big Farinas received a makeover and the 6/110 was born. Externally, the changes were virtually indiscernible, this belying the beneficial extent of the alterations for the lucky owners. The new car had a longer wheelbase, modified rear suspension linkage and PAS option. The engine was more powerful, gears were now “four on the floor” and there was the option of air conditioning. This particular model lasted until May 1964, when the 6/110 MkII was announced. Overdrive was no longer standard (a £51 option ! ), there were reclining front seats with picnic tables to the backrests and the wheels were now 13” diameter. 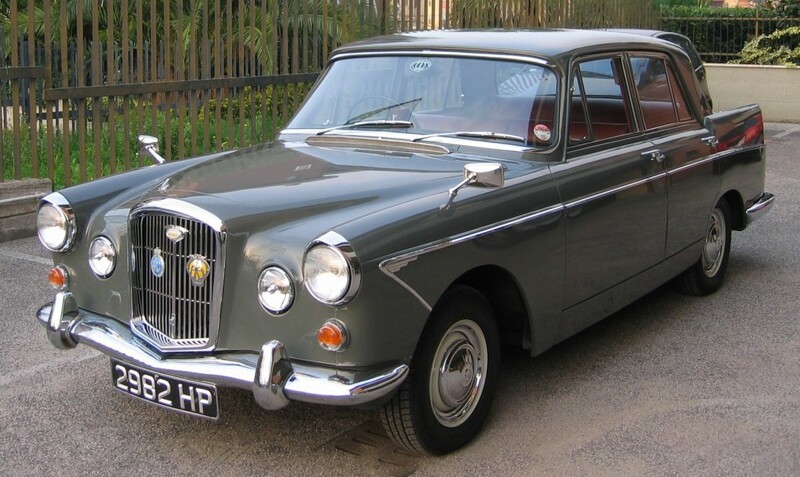 Production of this car, arguably the last real ‘prestige’ Wolseley ended in March 1968 (fortuitously?) co-timed with the announcement of the British Leyland merger.